It's been six months already since we arrived back in the US! The other day I took some time to back up all of our photos from various devices and it was fun to peruse the slideshow of our lives from the last six months. Then I realized that many of the photos from my phone made appearances on Facebook but never made it to the blog. So, I've compiled this collection which nicely captures the transition from summer to autumn to winter that we've experienced since our arrival in North America. Riker at the lovely Chagrin Falls. This coffee shop in Rocky River kindly provided a bicycle rack out front in each boy's favorite color. At a family event at Riker's school, Ari lands on Ohio! Muddy fun in the Metroparks with cousins. Hummingbird sculpture behind the CanalWay visitor center where I used to work in the Cleveland Metroparks. 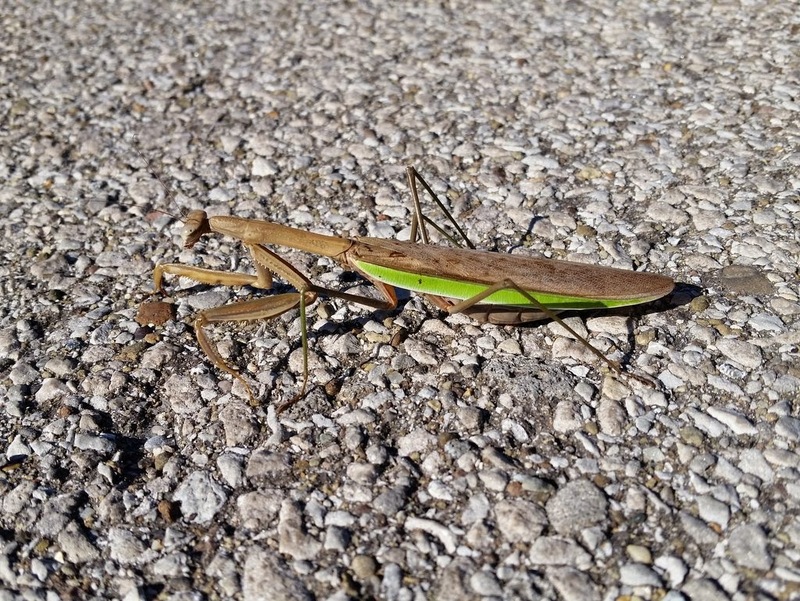 Leaving the park, we spotted this huge praying mantis making it's way across the pavement! Riker genuinely loves to wash dishes! Gluing leaves on a sheet of paper makes for a great (and easy) autumn craft. Proud of the finished product. Uncle Keith takes Riker to his first football game. At one of many terrific playgrounds in suburban Cleveland. The draw of a shallow creek pulls Edward, Ari, Gavin and Riker away from the play equipment. One of these sleepyheads looks more comfortable than the other. Riker's first experience with snow! Auntie Jenn sends the crew down a hill in the neighborhood. At our Australian farewell party, friends gave the kids cookie cutters in the shape of Aussie animals. Riker is proud of his koala shortbread biscuit that he helped to make! Uncle Keith reads to Ari. 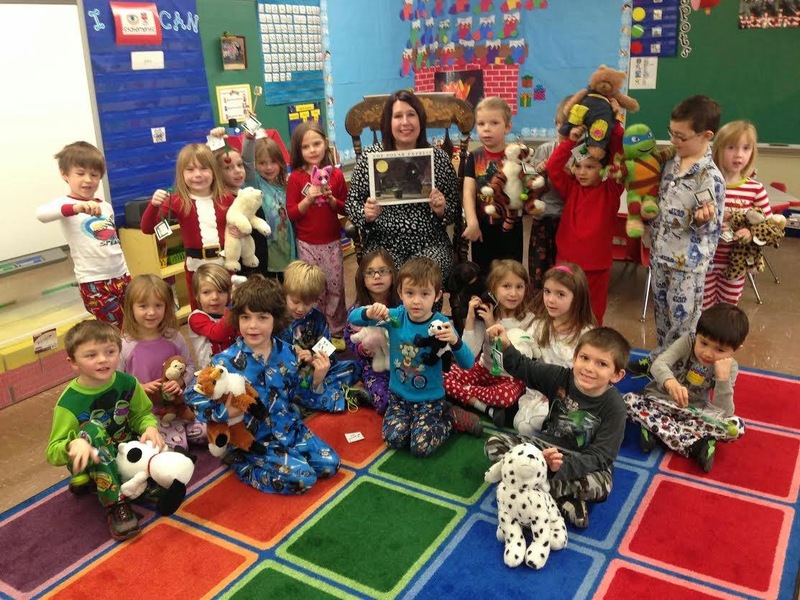 Riker's kindergarten class pajama day. 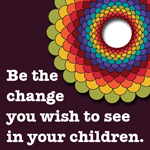 (Photo from the school district's Facebook page). Despite freezing temperatures, the boys plant themselves in the front doorway to wait for a much anticipated parcel - a new train set that Riker bought with his savings. Riker loves to write and send cards. In this envelope, he's generously place fifty cents to gift to Cael on his return from a Disney World holiday. Ari watches the deer in the backyard from a comfortable perch on the couch. Some days, I feel that we've accomplished very little towards our big picture goals in this country and other days I'm reminded just how many tasks we've completed. The photos above remind me that time has flown past but we have some fun experiences to show for it! The past year has been a big one for our family - full of major decisions, an epic move and an ongoing series of transitions. I'm still processing all of it but I have high hopes for 2015 as the year our family feels truly settled for the first time, well, ever!